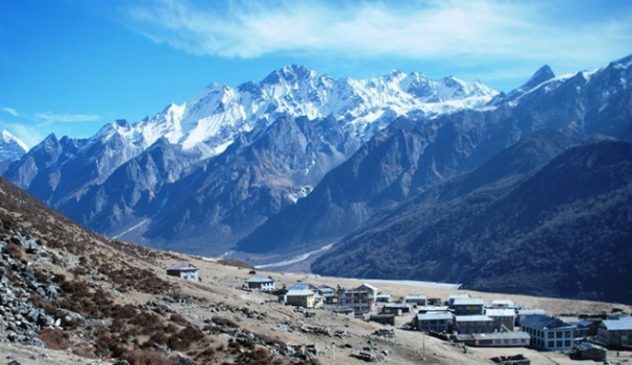 Tamang Heritage Trails treks provide an opportunity to explore the rich cultural diversity of Tamang Heritage. 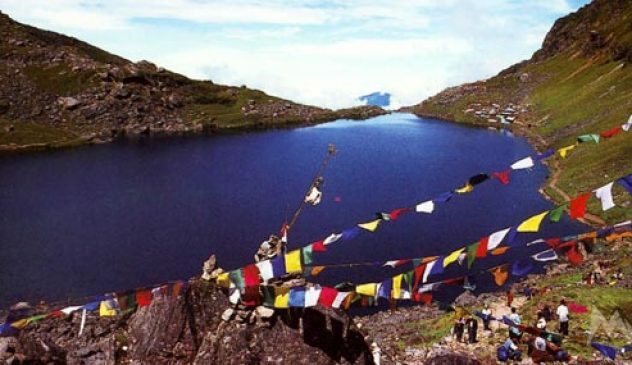 Tamangs are one of the famous people who came from Tibet. The cultures are distinct by language, house style, dress, ornaments, and customs. The Tamangs are traditional farmers and cattle herders of this region. Their farmlands and villages stretch south and west of the Bhote Koshi / Trisuli River. Also, the religion is related to the Bon and pre- Buddhist doctrines of Tibet. While the peoples of the Langtang valley are mostly Bhotias with recent Tibetan origin, many have intermingled with local Tamangs. Generally, they inhabit the higher elevational range. 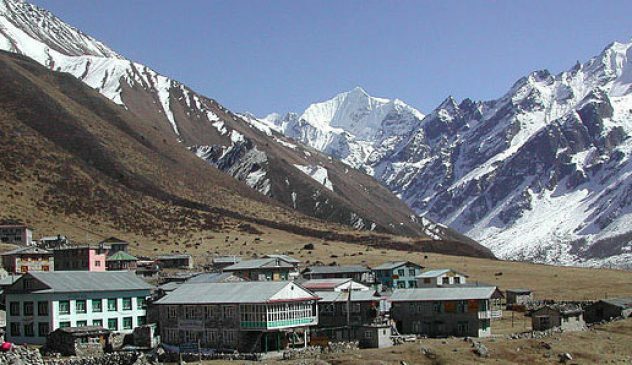 Tamang’s culture, view of Hot Spring and border side of Nepal are the main attraction of this Tamang Heritage Trails in Langtang Nepal. Day 03: Drive to Syabru Besi (1462m.) then transfers to Hotel/Camp. Day 06: Day for rest and exploration. Day 12: Thuman – Rasuwagadi. Day 13: Rasuwagadi – Briddim. Day 14: Briddim – Syabru Besi (1400m.) and transfer to Lodge. Day 15: Syabru Besi – Kathmandu by Bus then transfers to Hotel. Day 16: Kathmandu free and easy. NOTE: The above information is a guide and standard template of what we provide. The trip can be customized at your request to accommodate your specific requirements. – Bouddhanath Stupa, one of the biggest stupa in the world. Its four pairs of eyes in the four cardinal directions is keeping watch for righteous behaviour and human prosperity. All accommodation in Kathmandu three star standard Hotel with breakfast or tea house during the trek. 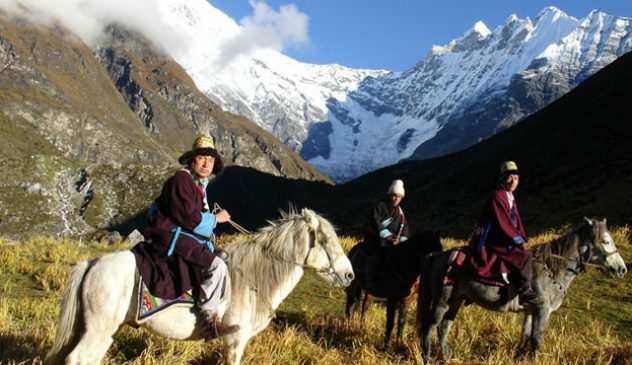 All sightseeing entrance fees, trekking permit fees. All transportation includes airport pickup drop. All meals stated accordingly in the itinerary. Drinks provided is coffee and tea any other than that like soft-drink, mineral water hot chocolate etc is under client own cost. Govt. Licensed Guide for Kathmandu, Pokhara and Trekking. Porter to carry your bags during the trek. Personal medical supplements, Personal insurance. Nepal Airport taxes. (RS 1695), Pls. check your ticket, it may be already included.